Code 4 Lead Flashing is suitable for soakers, flashings and vertical cladding. It is manufactured to comply with BS EN 12577 : 2006. This ensures that it has a consistent thickness (+/- 5%) throughout the sheet and correct amount of trace elements. This provides assurance of the leads lifespan when used in conjunction with the appropriate underlays and fixings. 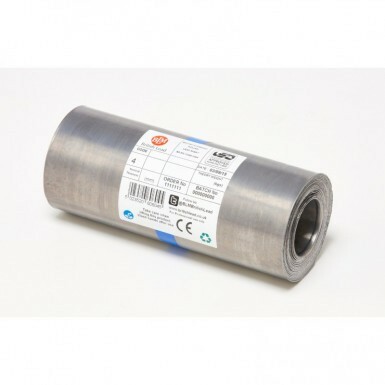 Code 4 Lead Flashing can be supplied in widths between 150mm and 2440mm, with both 3m and 6m rolls being available. At 1.80mm thick and weighing 20.410kg/m2, Code 4 Lead Sheets can be used on a handful of applications whilst still providing superb durability and remaining easy to fit. Is Code 4 Lead Right for You? Have More Questions About Our Code 4 Lead Flashing?